ITS is returning to South America in 2014 to hold its first major Conference on that continent in 14 years. Rio de Janeiro – one of the world’s most beautiful cities and exciting tourist destinations — will play host to the 20th ITS Biennial November 30 – December 3, 2014. The theme of the 2014 Biennial is The Net and the Internet: Emerging Markets and Policies. The Conference is being hosted by TIM Brasil in association with the Pontifical Catholic University of Rio de Janeiro (PUC-Rio), its academic partner for this scientific gathering. A fourth plenary session will consist of a Roundtable on the Regulatory Landscape in Latin America featuring representatives of regulatory authorities. The final plenary session will feature a panel discussion involving all of the above keynote speakers, as well as Andrea Renda (LUISS), Sergio Colcher (PUC), Erik Bohlin (ITS) and representatives of Latin American regulatory agencies (TBD). The theme of the final plenary session will be The Future of Research and Policy in the Electronic Communications Sector. The keynote address at the Conference will be delivered by a senior representative of the Government of Brazil (TBD). Opening remarks will be delivered by Mario Girasole (TIM Brasil) and Erik Bohlin (ITS). The Conference will close with brief farewell remarks from representatives of ITS and TIM Brasil (TBD). The Conference programme includes a welcoming reception for all attendees on the evening of November 30. The next night there will be a gala reception for all participants. Lunch will be provided for attendees on all three days of the Conference. Persons interested in attending the Rio Biennial are reminded that residents of many countries, including several in Asia, Africa, North America and Oceania, will require a Brazilian tourist visa, the application for which must include an invitation letter from the Conference organizers, in order to travel to Brazil. If you wish to attend the Conference and reside in a country from which travel to Brazil requires a tourist visa, and have not yet obtained an invitation letter from the Conference organizers, please contact the ITS Secretariat at secretariat@itsworld.org, with a copy to itsrio2014@gmail.com, as soon as possible. 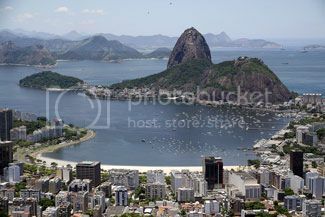 If you are unsure whether you require a tourist visa to travel to Brazil from your country of residence, please click on the following link: http://itsrio2014.com/information.html. All Conference attendees are reminded that the registration fee for all ITS Biennial Conferences includes a two-year membership in ITS valued at $250. Each membership comes with a two-year subscription to the ITS journal, Telecommunications Policy, which is published 11 times a year by Elsevier. Persons who attended the 2012 Biennial in Bangkok but who do not plan to travel to Rio in 2014 should bear in mind that their two-year ITS membership will expire on December 3, 2014 coincident with the close of the Rio Biennial. All such individuals are urged to renew their membership online at www.itsworld.org prior to that date in order to maintain their subscription to Telecommunications Policy, their eligibility for significant registration fee discounts at all ITS Regional Conferences and their access to various other membership benefits. Given the timeliness and overall importance of the subjects being addressed, together with the high calibre of papers and presentations to be delivered, if you haven’t done so already, please register online now at http://itsrio2014.com/registration.html. The early-bird registration discount (which was extended from August 31) expires after October 31. ITS is pleased to announce the election of its newest Board member, Mr. Kazuhiro Kurihara, effective October 15, 2014. Mr. Kurihara is the representative of ITS Global Corporate member, Mobile Society Research Institute (MSRI) – NTT DOCOMO, and succeeds former MSRI representative on the ITS Board, Mr. Toshiya Shinozaki, who has moved to a new position within the corporation. Mr. Kurihara started his career with Nippon Telegraph and Telephone Corporation (NTT) in 1987 shortly after completing his undergraduate degree in Economics from Nagoya University. His first position was in the Corporate Sales and Marketing Department where he was responsible for sales support in the corporate customer segment. He was promoted to the position of Manager in 1999 and spent the next two years developing and delivering mobile ICT services to financial corporations. In 2001, Mr. Kurihara became Senior Director, in which his primary responsibility was managing corporate sales forces serving the financial sector. His next assignment two years later was as Senior Director, Platform Business Planning Department where he led the promotion of mobile micro payment systems for the financial and retail industries. In 2005, Mr. Kurihara became Senior Director, Information Security Department where he was responsible for planning and implementing information security management measures throughout the entire corporation. 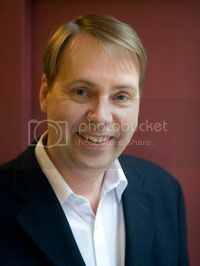 Between 2008 and 2011, he served as Senior Director, Promotion and Customer Relations, Global Business Division. His primary focus in this position was to enhance customer support for international roaming service customers. His next three-year assignment was as Senior Director, Corporate Social Responsibility (CSR) Department where he oversaw the planning and implementation of CSR measures on a corporate-wide basis. In July 2014, Mr. Kurihara became Senior Director and, shortly afterwards, was appointed Manager, Mobile Society Research Institute where he is responsible for managing research projects on the social impact of innovation in, and development, application and expansion of mobile telecommunications. ITS Chair, Erik Bohlin, thanked Mr. Toshiya Shinozaki, MSRI’s departing Board representative for his four and a half years of dedicated service to our non-profit Society and noted, in particular, the tremendous financial and logistical support provided by NTT DOCOMO to ITS in connection with the 18th Biennial (and Silver Anniversary) ITS Conference held in Tokyo in 2010. Dr. Bohlin extended to Mr. Shinozaki his warmest best wishes for further success in his career. At the same time, the ITS Chair warmly welcomed Mr. Kurihara to the ITS Board and underlined how much our organization looks forward to continuing its longstanding and productive relationship with MSRI—NTT DOCOMO in advancing scientific inquiry and social and economic policy development in the ICT domain. The ITS Conference Committee is pleased to announce that San Lorenzo de El Escorial, Spain has been selected as the venue for the 26th European Regional ITS Conference. Constructed in the latter half of the 16th century by Philip II of Spain, the Royal Site of San Lorenzo de El Escorial was designed to serve as both a monastery and royal palace, simultaneously reflecting Spain’s imperial power and pre-eminent position as a centre of Catholic Christendom at the time. Philip II chose Spanish architect Juan Bautista de Toledo, who had spent many years working on the Basilica of St. Peter’s in Rome and as the King’s viceroy in Naples, to be the primary architect for the complex. The enormous capital costs of the undertaking were financed with New World gold, which was then flowing into Spain in unprecedented quantities. The Royal Site of San Lorenzo de El Escorial is located approximately 45 kilometres northwest of Madrid. UNESCO declared it a World Heritage Site on November 2, 1984. In addition to its historical significance as the burial site of almost all Spanish kings of the past five centuries, the complex contains thousands of priceless manuscripts, artifacts and the works of art of many of Europe’s Renaissance grandmasters. It remains one of Spain’s most famous tourist attractions and among the greatest examples of Spanish Renaissance architecture. Please add June 24-27, 2015 to your calendar for the 26th European Regional ITS Conference to be held at San Lorenzo de El Escorial. The Call for Papers for this Conference will be issued prior to year end 2014 and will be circulated via the ITS-L as well as being posted on the ITS web site at www.itsworld.org immediately upon being issued. ITS regrets to advise that the Ebola crisis currently devastating several countries in West Africa has forced the postponement of the first-ever Africa Regional ITS Conference that was to be held in Accra, Ghana, May 26-28, 2015. The postponement also applies to the ITS Ph.D. Seminar that was to be held on May 29, 2015, immediately following the main Conference. New dates for the Conference and associated Ph.D. Seminar have not yet been determined. The ITS Board, principal Conference organizer Professor Anders Henten (Center for Communication, Media and Information technologies (CMI), Aalborg University), and the Conference host, Ghana Technology University College (GTUC), will be assessing developments in West Africa with a view to rescheduling the Conference and Ph.D. Seminar once the crisis has ended and health and safety concerns have abated. Updated information about the Conference and Ph.D. Seminar will be posted on the ITS web site at www.itsworld.org and circulated via the ITS-L and in future issues of Interconnect once revised dates have been set. With autumn now in full swing (and winter lurking not far behind) here in the Northern hemisphere, I can state with genuine pleasure and excitement that the full focus and attention of ITS is squarely on Rio de Janeiro where spring is in the air and preparations are nearing completion for the final ITS Conference of 2014. Full programme details on the 20th ITS Biennial Conference being held November 30-December 3, together with important registration and travel visa information, can be found in the lead article in the current (October 2014) issue of Interconnect. I would urge anyone who is interested in attending the 2014 Biennial but who has not yet registered for the Conference to please carefully read the aforementioned article. Looking just over the horizon into 2015, the 26th European Regional ITS Conference will be held June 24-27, 2015 in San Lorenzo de El Escorial, Spain. Additional details on this Regional Conference can be found elsewhere in the October 2014 issue of Interconnect. Unfortunately, the outbreak of Ebola in West Africa has resulted in a decision to postpone the earlier planned 1st Africa Regional ITS Conference which was to be held May 26-28, 2015 in Accra, Ghana, to be followed immediately afterwards on May 29 by the 7th ITS Ph.D. Seminar. Future plans for both these events will be announced as soon as final decisions can be made. Finally, as was reported in the August 2014 issue of Interconnect, a decision on the date and location of the 2016 Biennial is expected prior to the end of this year. If all important details can be worked out in time, an announcement will be made prior to the close of the Rio Biennial. I also wish to take this opportunity to formally welcome Mr. Kazuhiro Kurihara as the newest member of the ITS Board. Effective October 15, 2014, Mr. Kurihara was elected as the Board representative of ITS Global Corporate member, Mobile Society Research Institute (MSRI) – NTT DOCOMO. He succeeds Mr. Toshiya Shinozaki who, as result of his new assignment within NTT DOCOMO, has stepped down as a Director after having faithfully served our organization for over four and a half years. We remain especially grateful to Mr. Shinozaki for NTT DOCOMO’s active involvement in and sponsorship of the very successful 2010 ITS Biennial Conference held in Tokyo. Please note that a brief article on Mr. Kurihara, with whom we very much look forward to working on matters of mutual interest and benefit in the months and years ahead, appears in a separate article in the October 2014 issue of Interconnect. I look forward to seeing as many of you as possible in Rio de Janeiro at the end of November and early December and to engaging you in discussions on the issues and subjects of greatest interest and concern to the telecommunications and broader ICT industry. 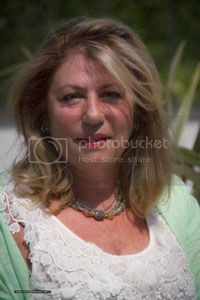 Dr. Loretta Anania is one of the longest serving of all ITS Board members, having been first elected to the Board in 1990 shortly after winning the prize for the best student paper (titled, “Are Open Networks Common Markets?”) at the 8th International ITS Conference held in Venice in March of that year. Half a decade later, she was elected ITS Chair and served two terms of four years each between 1996 and 2004. She continues to serve on the Board in her capacity as past ITS Chair. Foreshadowing, perhaps, her future career with the European Commission, Dr. Anania was born in Rome the same year as the Treaty on the Functioning of the European Union, better known as the Treaty of Rome, was signed. The course of her early education and subsequent studies, meanwhile, followed a trajectory as unique as it was intriguing, spanning three continents and many thousands of miles. Beginning preschool in the Italian Montessori system, she soon found herself under the tutelage of French Nuns in Algeria to which country her parents had moved, only to find herself back in Europe some years later enrolled in studies at an American Overseas high school. She later graduated with a BA from the University of Sussex in England, studied Journalism and Communications at the University of Iowa and then earned her Ph.D. from MIT in 1990 with a doctoral thesis on the end of central planning and the rise of the information society. Significantly, it was from her MIT thesis advisors that she acquired a passion for American political development and system innovation, and a respect for the empirical tradition, both of which continue to factor heavily in her intellectual and analytical approach to critical thinking, research and discovery. Not lacking in motivation, and driven by a desire to obtain the best possible education for herself, Loretta took on a series of ICT-related jobs starting at age 17 in order to cover her costs of university. She worked as a journalist writing a monthly column for Telecommunications magazine (at the time under the editorship of Vinton Cerf) and held positions as a teaching and research assistant, a consultant to banks and telcos, and as a Media Lab researcher on content analysis techniques and innovation as part of the Advanced Television Research Programme. (ATRP was the US national programme that set the basis for the transition from analogue broadcasting to digital TV interoperability standards). Following her graduation from MIT, Dr. Anania commenced what has proven to be a fascinating career with the European Commission in broadband-related activities associated with the Research into Advanced Communications for Europe (RACE) programme. In her first position in this programme, she was responsible for techno-economic analyses of such things as the cost of broadband access. Later, she worked on both near-market and basic research, with the former encompassing access pricing and policy. Her basic research activities included the Future and Emerging Technologies (FET) unit, where she funded i3 (intelligent information interfaces) in early learning (7-12 year old subjects) and experimental school environments. These initiatives included gamification experiments (i.e., “the use of game thinking and game mechanics in non-game contexts to engage users in solving problems”) with virtual and augmented reality. FET pioneered work in Neuro-Informatics (the predecessor of The Brain flagship), where Dr. Anania’s contribution was to launch ‘Presence Research: the sense of being there in a remote environment’. This was a programme on tele-presence or futuristic teleportation in which functional magnetic resonance imaging (fMRI) was used to develop quality of experience metrics for subjective media experiences. Dr. Anania recalls with a smile, and a pathfinder’s sense of accomplishment, how she tenaciously insisted on including the word ‘phenomenology’ in a Commission work programme, opening the way to interdisciplinary approaches to what traditionally was perceived as the distinctly non-philosophical world of telecom — long dominated by engineers, lawyers and economists. She also contributed to the Complex Systems initiative, which entailed collaboration with the USA Santa Fe Institute and other international ‘high science’ organizations. After an EC reorganization, Dr. Anania was reassigned to the Future Internet Directorate and is now following the Collective Awareness projects which deploy internet of things technologies and open source platforms (including open hardware) to involve citizens in grass-root social innovation: big data for smart citizens . One of the collective awareness projects is to develop new indicators of ‘progress beyond GDP’. These are quality of life indicators that require bottom up and top down links (e.g., National Statistical Institutes, the OECD, Eurostat, the Committee of Regions, etc.). Dr. Anania’s personal interests include reading, writing, swimming in all the world’s oceans, and helping more women and young people to enter the creative world of web services. (www.startupeurope.eu).